Location –N of Nenagh and W of Ardcrony which is located on the N52. 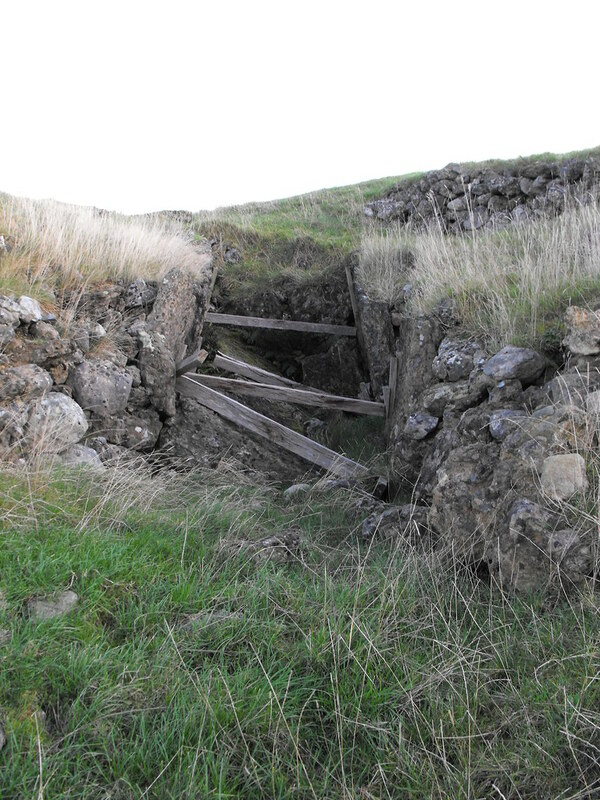 Description and History – This is a great site even if a little ruined. There’s a plus and a minus to it being ruined. On the plus side we only know of its existence because a farmer tried to bulldoze the mound and discovered it. On the minus side a tomb that was undisturbed for over 5000 years is now in a poor state. It is somewhat frustrating that this tomb was not disturbed until 30 years ago. Nevertheless it still holds a commanding presence in the Tipperary countryside. The Archaeological Inventory for North Tipperary lists this as a Linkardstown type burial but when you get there this classification seems a little odd. Tom FourWinds over at Megolithomania believes this tomb to be an undifferentiated passage tomb and after visiting the tomb twice I agree. There is no definite chamber beyond the widening of the passage. The entire site including ditches is 90m meters in diameter which is quite a size. 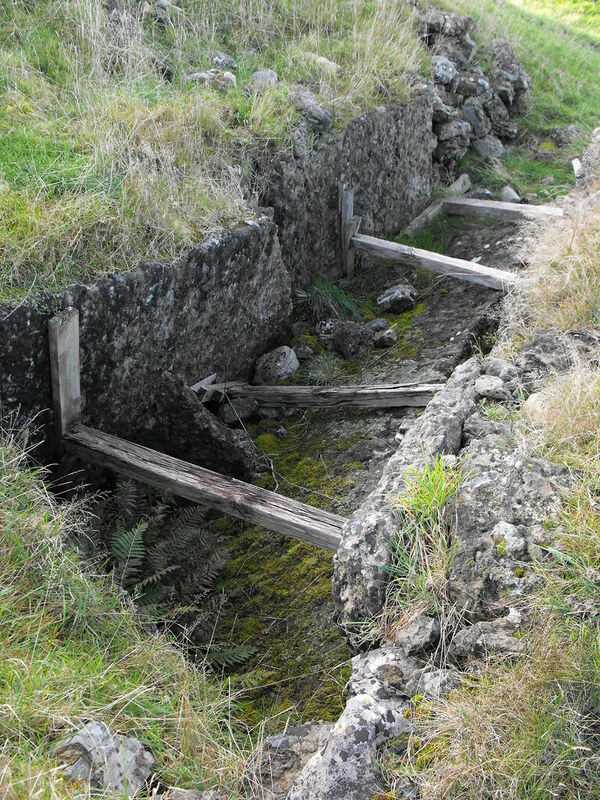 The ditches are in good condition and wonderful to see intact. 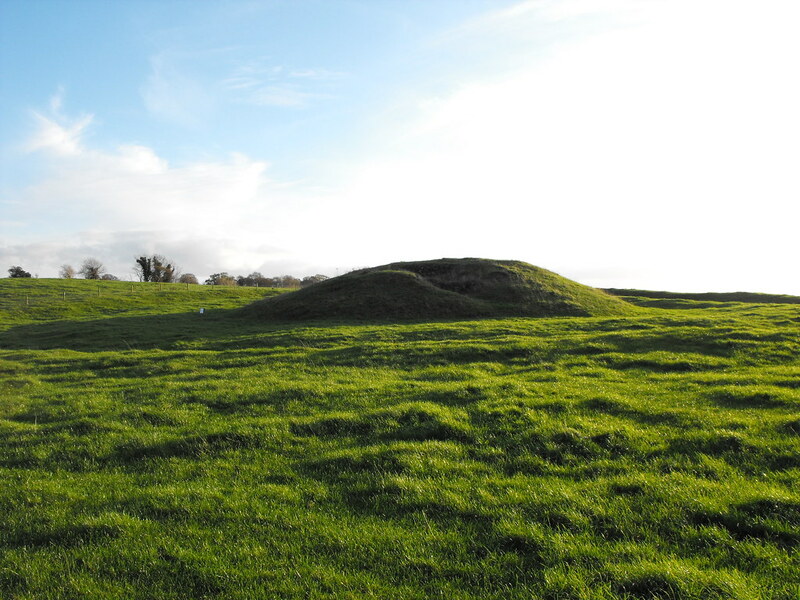 The mound itself is 26m in diameter and the passage is off centre, measuring 5m in length and 2.3m at the ‘chamber’ and 1.3 at the open end. It is immediately apparent that the passage is so off centre that I can't help thinking that there must be another passage in the mound somewhere. I would be interested to find out if the whole mound was excavated or just the uncovered portion. It is orientated NW – SE. The roof stone of the chamber, which now lies at the bottom of the chamber is massive and covers the entire chamber. A lot of man power must have been available to construct this site. Amongst the cairn material animal bones and the remains of an infant were found. In the chamber itself an adult male and an infant were found. Grave goods were also found including animal bones and pottery. The remains were dated to c. 3350BC. 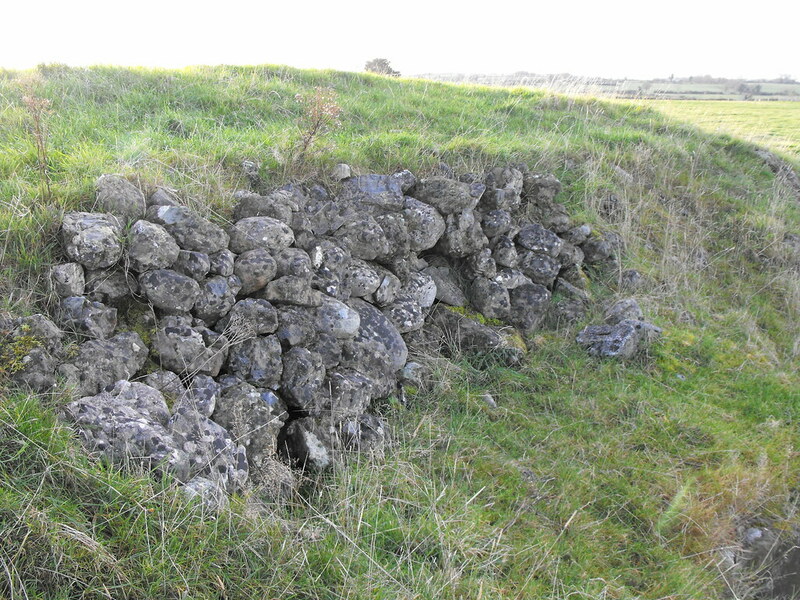 A pile of large boulders that have been pushed to the side of the mound once sat on top of the mound covering the chamber. The cairn material has been exposed near the chamber and provides an interesting cross section of the construction of a monument like this one. 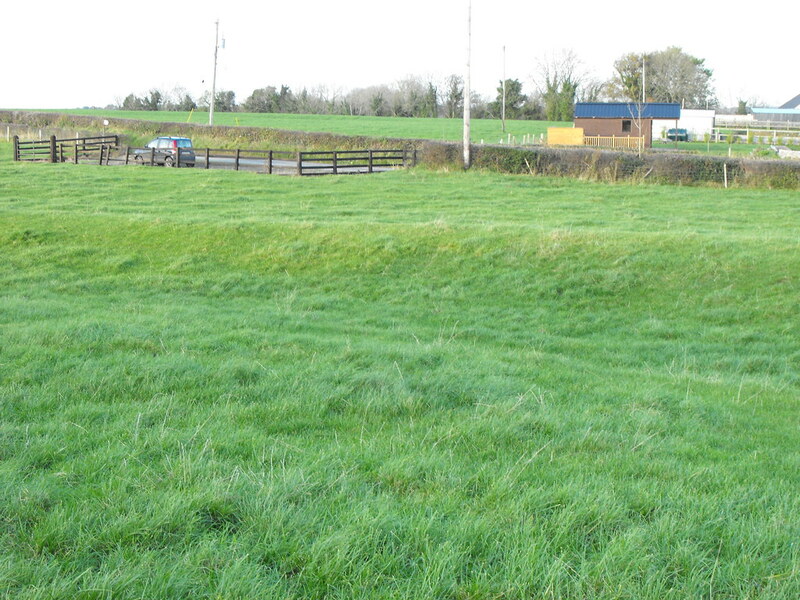 Considering the lack of tombs such as this one in the midland area this one is a must for any megalith lovers! Difficulty – Easy enough to find and there is a car park. Livestock are sometimes in the field but they’re no hassle as they put in young livestock. The mound as viewed from the carpark. Looking into the passage from above. Note the large roof-stone that now lies on the floor of the chamber. 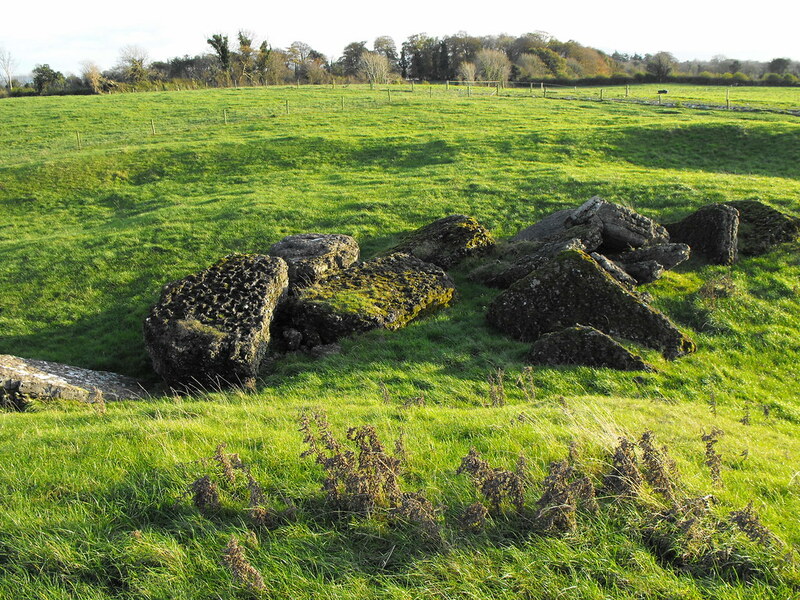 These stones were once on top of the passage but have now been pushed off to the side of the mound. I have really only included this picture because I think it's nice. 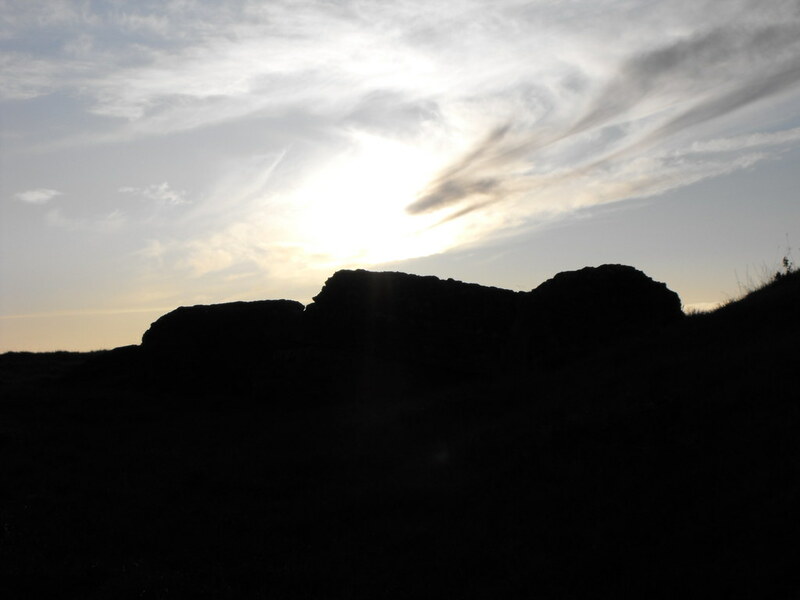 This is looking toward the setting sun with the darkened pile of stones in the foreground.